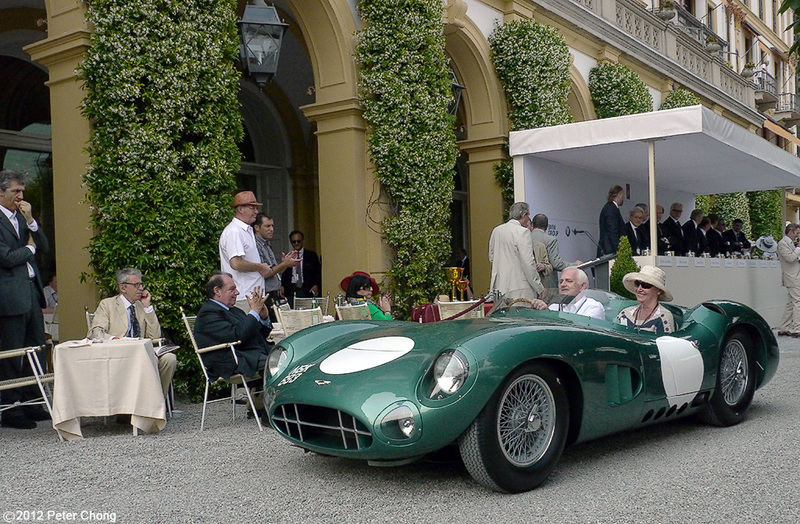 The Aston Martin DBR1 is one just five cars that the factory built for the Sports Car World Championship in 1956. A change due to the rules allowed cars which were not part of a series production to be entered. 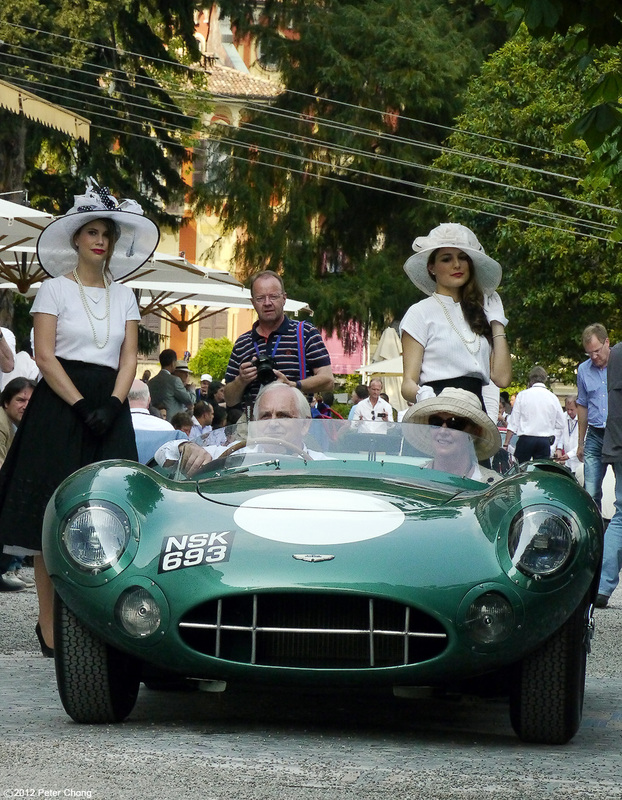 This particular example, built in 1959 was entered as Car 96 in the recent 2012 Concorso d'Eleganza della Villa D'Este. Designed by Chief Designer Ted Cutting, the racing car was built on a tubular spaceframe and an aluminium body. The original specifications had an engine displacement of 2.5 l, but was subsequently enlarged to 3 l. Developing a power of 250 bhp on a racing car weighing only 800kg makes this a fast vehicle indeed! And this was proven with wins by this sparticular magnificent speciment, the fourth to be built, and took 2nd place in the 1959 Le Mans driven by Maurice Trintignant and Paul Frere. This is of note as podium position was driven by Caroll Shelby and Roy Salvadori, also in an Aston Martin DBR1. The car was restored and was entered by current owner Adrian Beecroft of the UK. Horrors! In an earlier version of this post, I somehow miscoded the html tags and mixed up Aston Martin pictures with text for Jaguar D Type. Thanks to my friends Oliver Meindl and Stephan Ciejka for pointing that out. I am so embarrassed, but have rewritten the text to reflect the Aston Martin.